There’s something about simplicity that is so attractive. A living room done up with simple furniture and accent pieces. An outfit put together with simple clothing and accessories. And a dish put together using simple, easy to find and use ingredients. 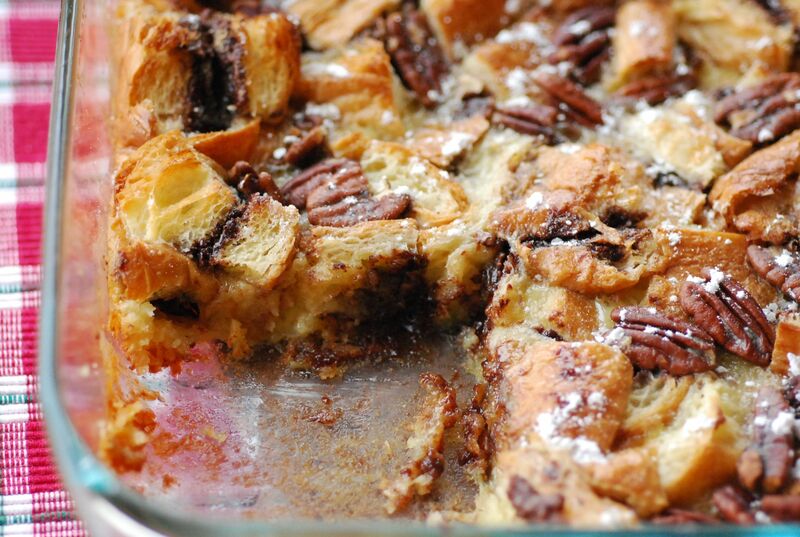 This bread pudding recipe I discovered on Steamy Kitchen’s website is just that; It uses a few simple ingredients and voila! You have a decadent, delicious dessert that looks like it took a long time to put together. 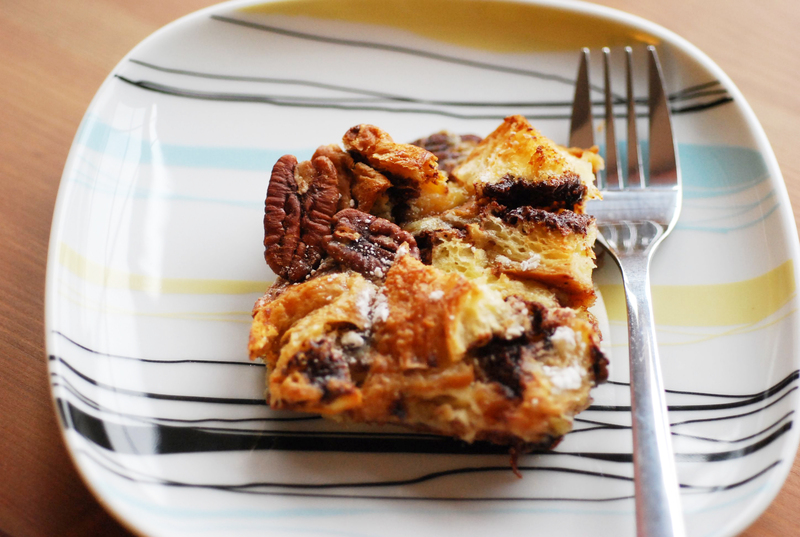 So recently, when I was invited to an impromptu dinner at a friend’s home, and all I had at home were a few croissants, nutella and the usual suspects – milk, cream, eggs and sugar – I quickly put together this bread pudding. 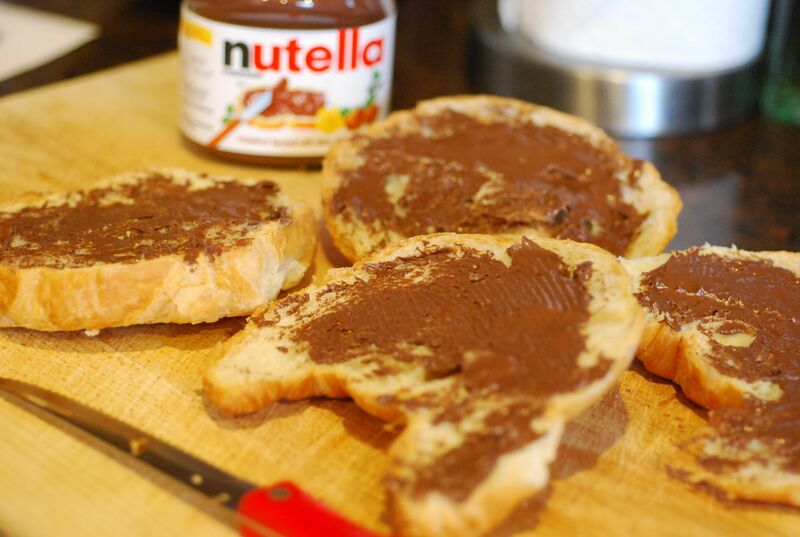 Day-old croissants are sliced in half lengthwise, slathered with yummy nutella, sandwiched back together, cut in chunks, and baked with a creamy custard made with eggs, cream, sugar and vanilla. I never thought the taste would be so so good. Check out the original recipe here on Steamy Kitchen’s website. I mad a few modifications to Jaden’s recipe by using half and half instead of whole cream. I also added a big pinch of powdered cardamom to the custard, to add an extra layer of interesting flavor. This whole dish took under 10 minutes of prep time, and all I had to do after that was put it in the oven and let it cook, while I tackled other things around the house. 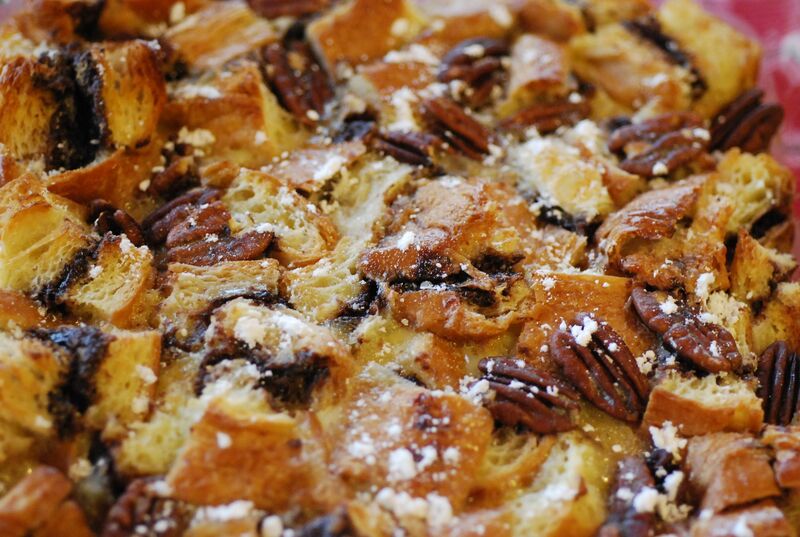 Make it for Christmas eve dessert, or for Christmas day breakfast – you decide! I think it’ll be a hit either way. I know it was at the party I went to! Looks delicious! I’d use half and half instead of whole cream. Thank you!